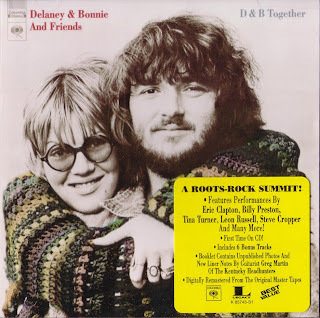 Though Delaney and Bonnie Bramlett never found the commercial audience for which they strived, they did achieve a high-level of recognition among their peers. It was Byrds-man Gram Parsons who first introduced George Harrison to the duo’s music, and Harrison brought Eric Clapton into their rapidly growing family. Clapton immediately became Delaney & Bonnie’s biggest supporter, inviting them to open for Blind Faith as well as performing on the pair’s subsequent albums and tours. For certain, within Delaney & Bonnie’s albums was the inspiration and impetus for Clapton’s own solo career. The rich mixture of gospel, soul, R&B, country, and folk that he used to great effect on his self-titled debut (as well as 461 Ocean Boulevard and Slowhand) was rooted in these freewheeling sessions with the Bramletts. D&B Together features an all-star line-up, including Dave Mason, Tina Turner, King Curtis, Bobby Keys, Rita Coolidge, Leon Russell, Billy Preston, Red Rhodes, Steve Cropper, and the entire cast of Derek & the Dominoes. Often, albums with this many guests become bogged down in ego trips, but the early ’70s was the perfect time for these sorts of jam sessions, which frequently worked quite well. 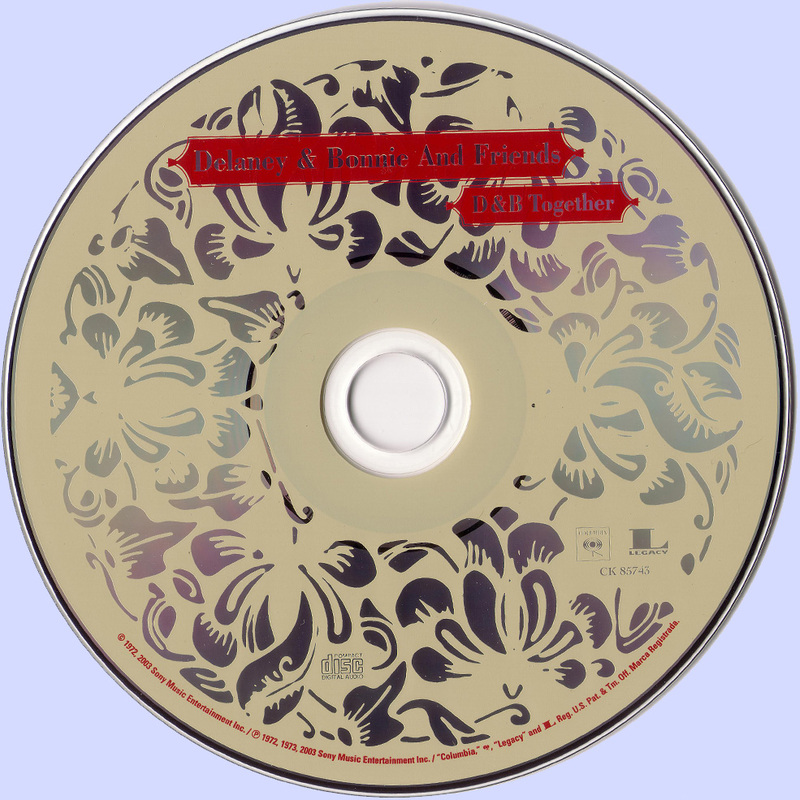 Such is the case with D&B Together, an organic, earthy album that generally finds the perfect combination of musicians. Highlights are plenty, including Bonnie’s righteously rapturous vocals on Wade in the River of Jordan, the rolling percussion-fueled Well, Well, the rousing groove Big Change Comin’, and the soulful, Band-tinged I Know Something Good about You. Ultimately, though, it’s the Clapton-contributed Comin’ Home that steals the show with its flurry of churning guitars and percussion. Beautifully remastered and augmented with six tracks from the Bramletts’ post-collaborative solo outings, D&B Together has never sounded better. Will you have Delaney & Bonnie and Friends – Motel Shot (Expanded Edition) (2017) any time soon?